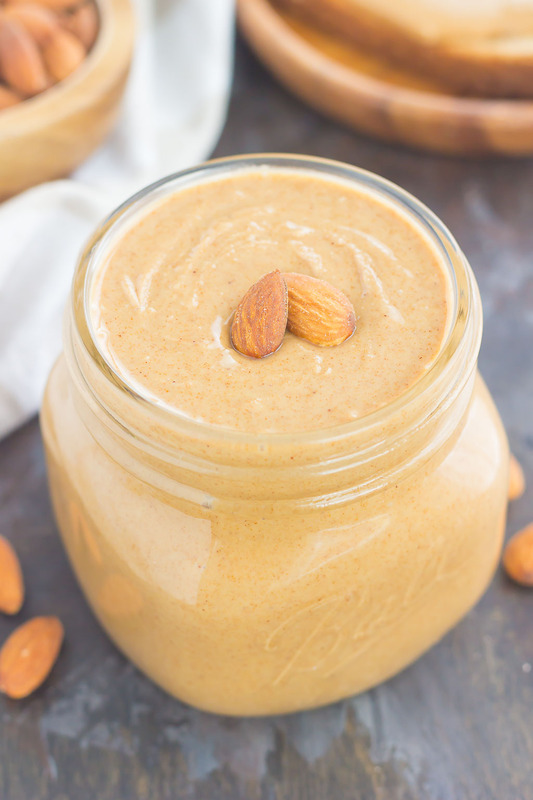 Packed with roasted almonds, sweet honey and splash of coconut oil, this Homemade Honey Almond Butter is smooth, creamy, and oh-so delicious. 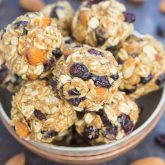 It’s paleo, gluten-free, ready in less than 10 minutes, and so much better than the store-bought kind! 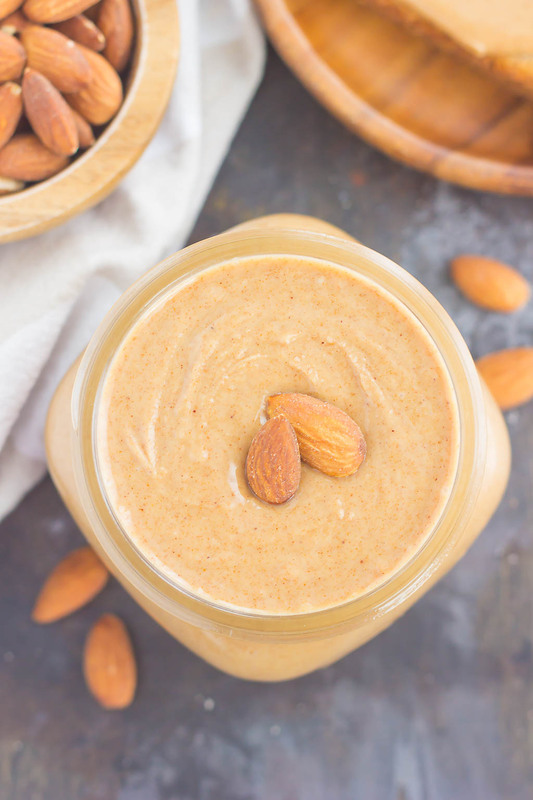 Homemade almond butter has been on my bucket list of recipe creations for the past few years. I finally conquered this recipe, friends! But, let me back up a minute. Do you like almond butter? When I first tried it a few years ago, I was taken aback by the taste. For some reason, I thought it would be more of the consistency of peanut butter and taste similar to that, too. So, imagine my surprise when I took a heaping spoonful of almond butter. Why was I comparing it to peanut butter? Besides that it’s another kind of nut butter, of course. After my initial taste test, I decided to push almond butter aside. But, after a few months, I gave it another try. I picked up a jar of honey almond butter and gave it another shot. And you know what? I loved it! I just had to appreciate that almond butter is not like peanut butter, in taste or consistency. And since then, I’ve been hooked. My favorite way to eat almond butter (besides taking a spoon and just digging in) is with a sliced banana and some honey. It makes such a delicious breakfast or snack! I also love spreading it onto an English muffin or toast. But, almond butter is pretty pricey, and because of that, I try not to buy it too often. Thus, my Homemade Honey Almond Butter to the rescue! If you’ve never made homemade almond butter before, then now is the time to start. I promise you it’s so easy and so worth it. Just watching the almonds come together to form the ‘butter’ was mesmerizing! Hey, it’s the little things in life that make me happy! 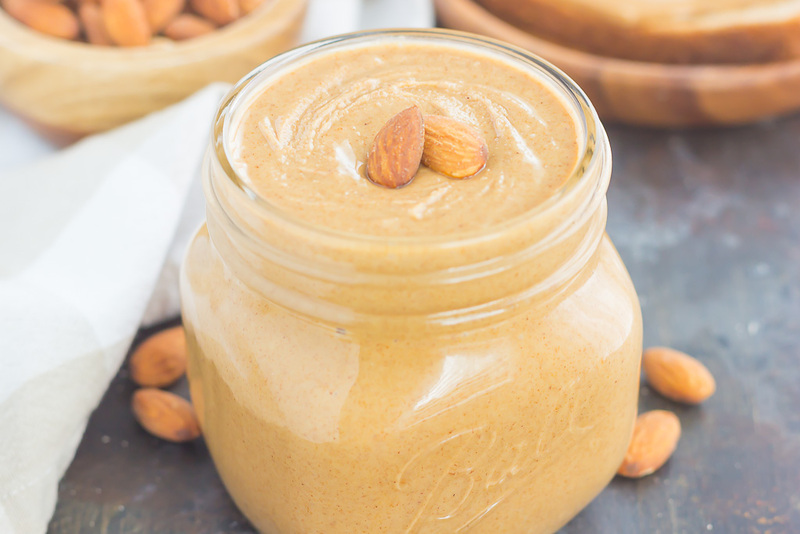 And friends, this Homemade Honey Almond Butter is so easy to make! 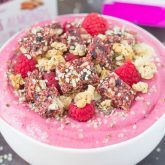 It requires just three ingredients and a little effort from your blender or food processor, and that’s it! If you have a high-powered blender, like this Vitamix, then you can just add the almonds to the blender and let it work its magic. The almond butter was ready in about 5 minutes since I used my Vitamix. However, if you use a food processor, it will probably double or triple the amount of time to break down the almonds into ‘butter.’ It really depends on the size and power of your food processor. But don’t let that deter you, friends! The effort is worth it…promise! After the almond butter is smooth and creamy, add in the honey and some coconut oil, if you would like to thin it out a bit. Blend everything together once again, and that’s it! Easy peasy and so addictingly good. I like to store my almond butter in mason jars, but any glass container with an airtight lid would work. 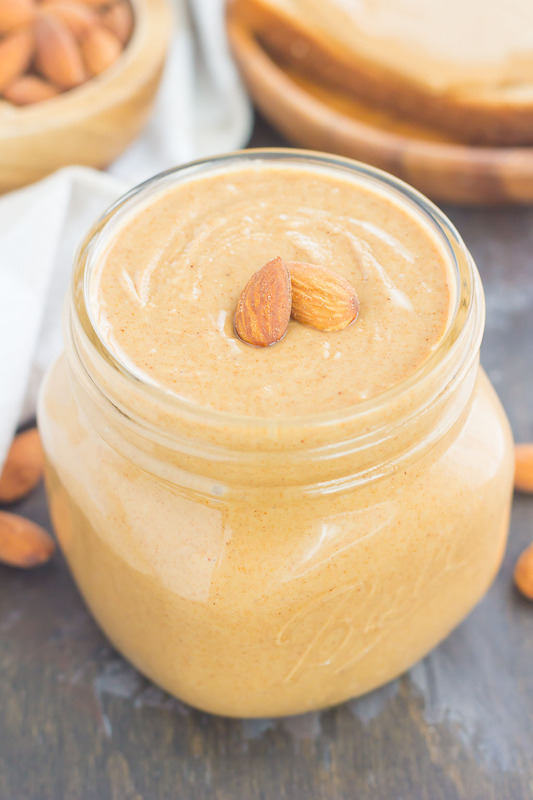 And this Homemade Almond Butter will easily keep for up to three weeks at room temperature, if it lasts that long from not being able to devour it! I used my Vitamix to make the Homemade Honey Almond Butter, as it’s high-powered and is faster than using a food processor. If you own a blender that is high-powered, this will work. Otherwise, a food processor works perfectly, too! If using a food processor, your processing time will most likely be doubled or tripled, due to the size of the bowl and speed of the processor. I used already-roasted and salted almonds. However, you can use raw almonds and add in salt if you prefer it that way. If you’re anything like me, you’ll take your spoon and just dig into the creamy, almond-y, honey goodness. 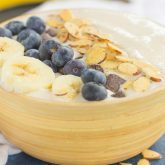 It also makes a perfect topping for oatmeal, pancakes, waffles, toast, or blended into a smoothie. The possibilities are endless! Looking for more easy spreads? I’ve got you covered! Packed with roasted almonds, sweet honey and splash of coconut oil, this Homemade Honey Almond Butter is smooth, creamy, and oh-so delicious. 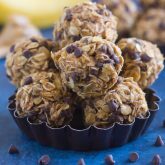 It's paleo, gluten-free, ready in less than 10 minutes, and so much better than the store-bought kind! Add honey and coconut oil, if desired. If you like your almond butter on the thicker, chunky side, you can omit the coconut oil. If you like it thinner, add the coconut oil and adjust to your desired consistency. Blend/process and then taste. Add more honey and/or coconut oil if needed. Transfer almond butter to a mason jar or glass container with an airtight lid. Store at room temperature for up to three weeks. nothing like homemade nut butter! this looks so creamy, yum! The first time I tasted almond butter years ago I was put off. It's nothing like what you're used to when you grow up on peanut butter! Now I really love it and eat them both equally. 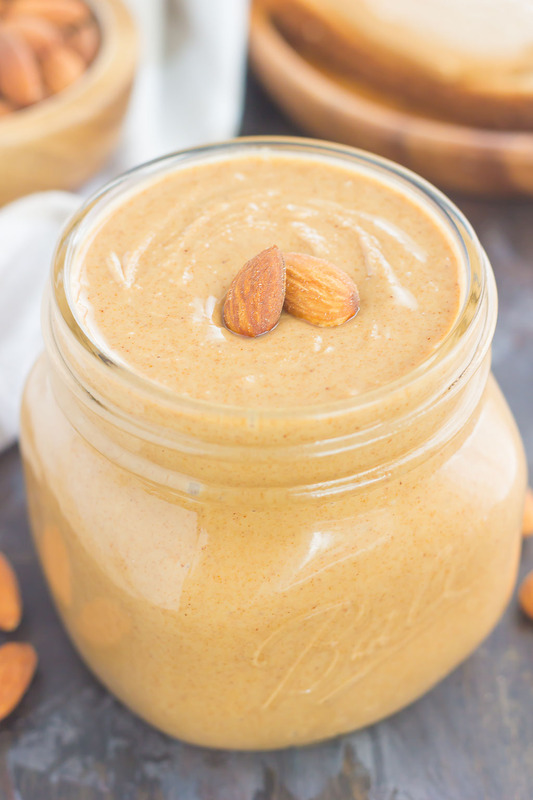 This almond butter looks so creamy and you can't beat the sweet addition of honey! This is such a great idea! I keep forgetting to buy almond butter, now I can try this one! Love it! Thanks, Mira! It's so easy, too!